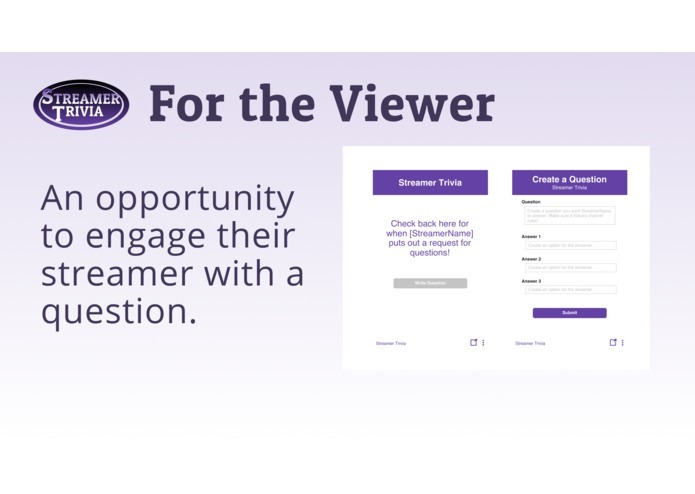 We wanted to help broadcasters engage with their viewers. 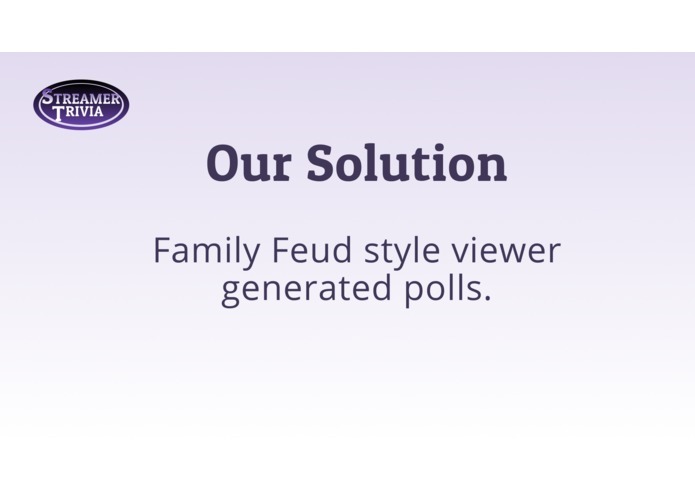 We decided that a Family Feud style game would be a super fun way for broadcasters to get viewers involved in their stream. 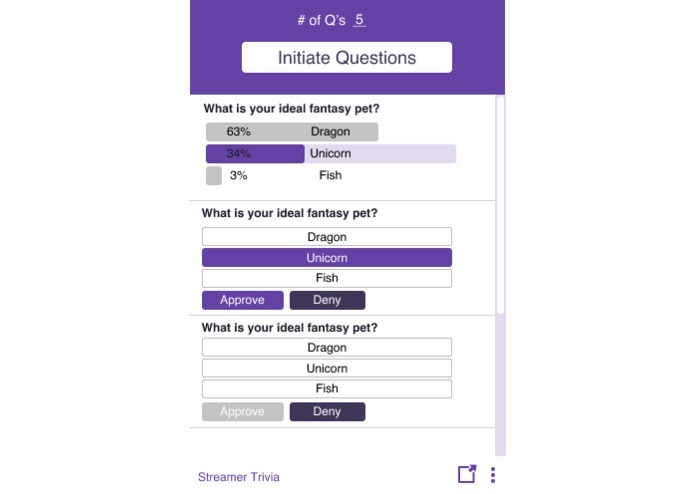 Other viewers are shown the question and choose 1 of the 3 answers. Next, the broadcaster chooses their answer. 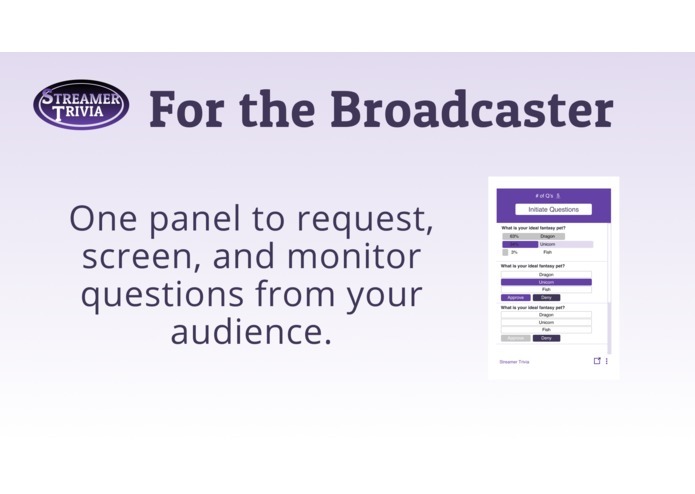 Finally, the broadcaster's choice is revealed along with the amounts of selections for each answer. 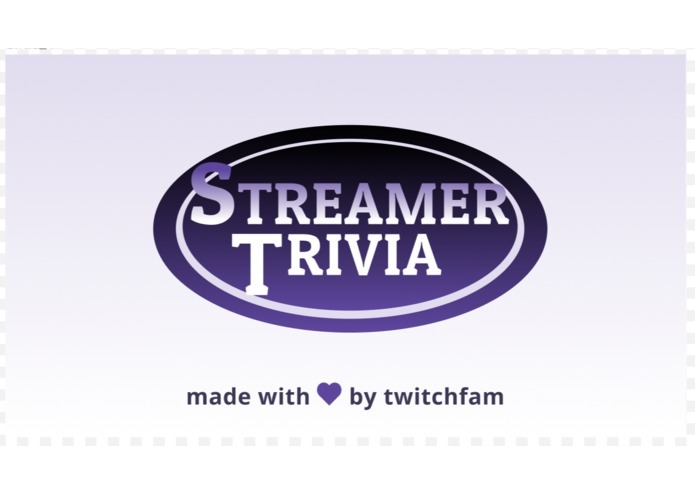 Viewers get points for if they were correct. We built it using React as the frontend and we plan on using the Configuration Service and Extension Backend Service for the backend. The backend was challenging and we ran into problems setting it up on our local environments. 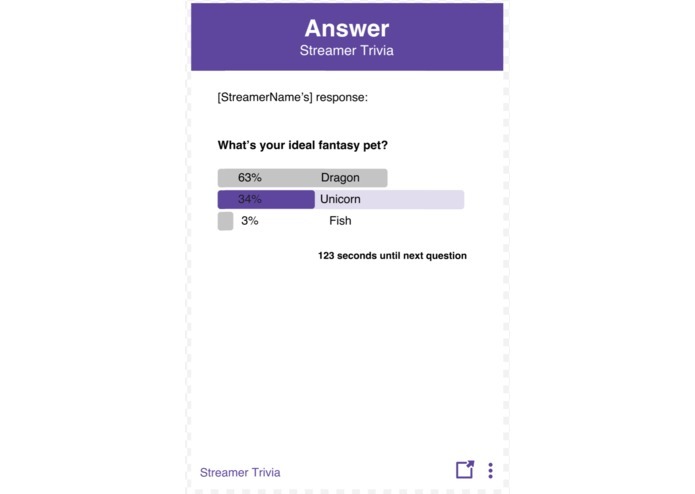 We learned a lot about the Twitch extension ecosystem. 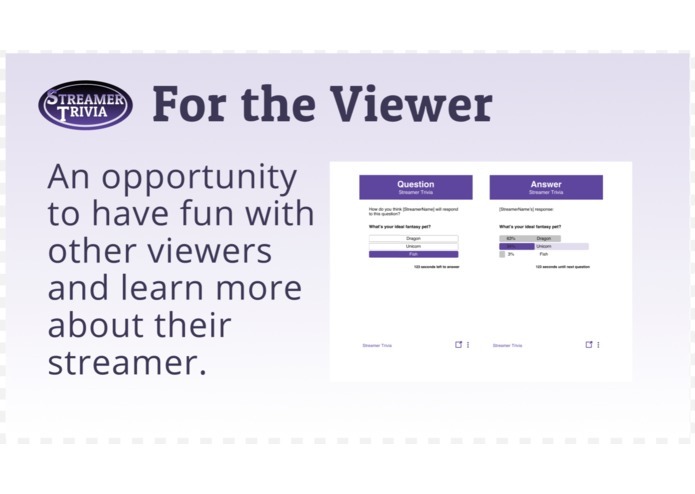 We also learned how diverse Twitch streamers and viewers are. 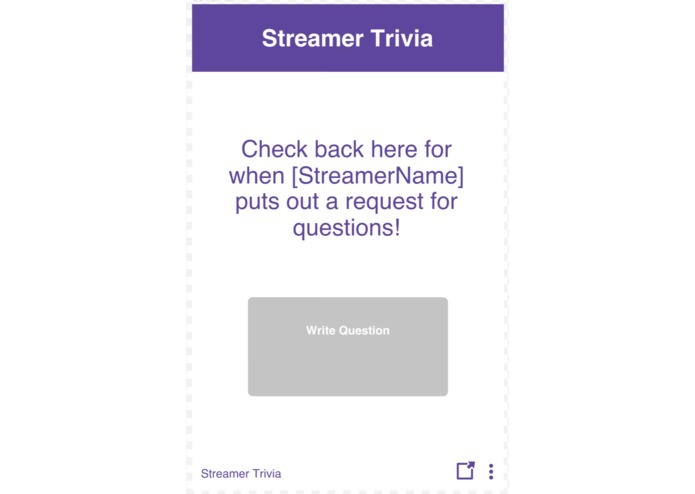 It was super interesting and we hope to continue building Twitch extensions. 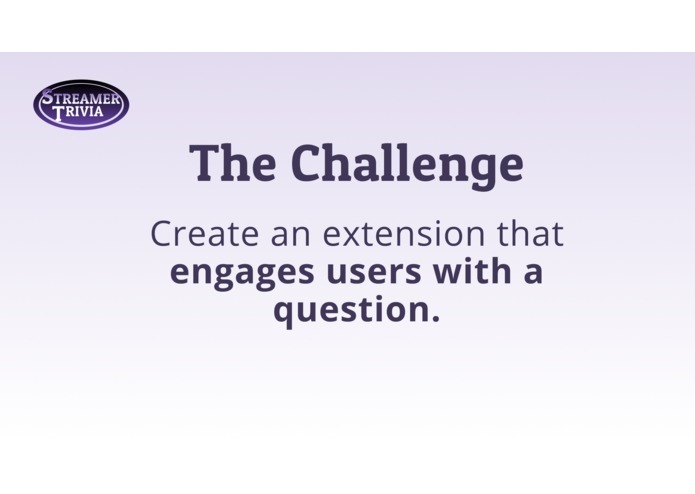 We want to add in a backend that utilizes the Configuration Service and submit the extension for official review. I guided my team and helped them understand the ways of React and the React component lifecycle. 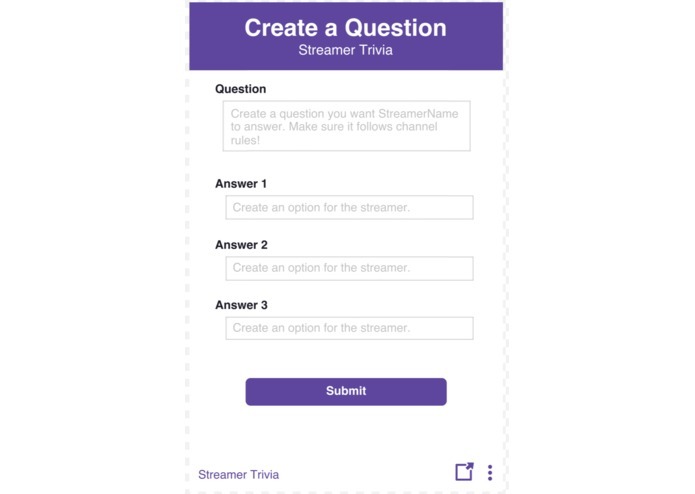 I set up the project with React and implemented the quiz components with HTML, CSS, and JSX. Overall it was a great experience and I enjoyed helping my teammates out! 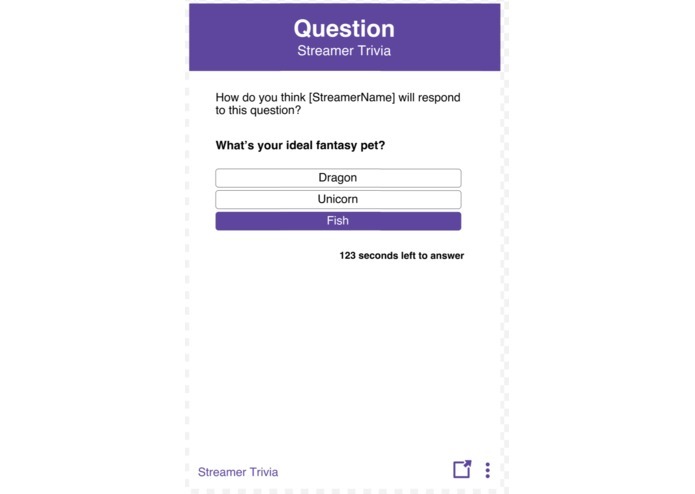 I designed the UI and worked on the HTML, CSS, and implementing React.js transitions between states. 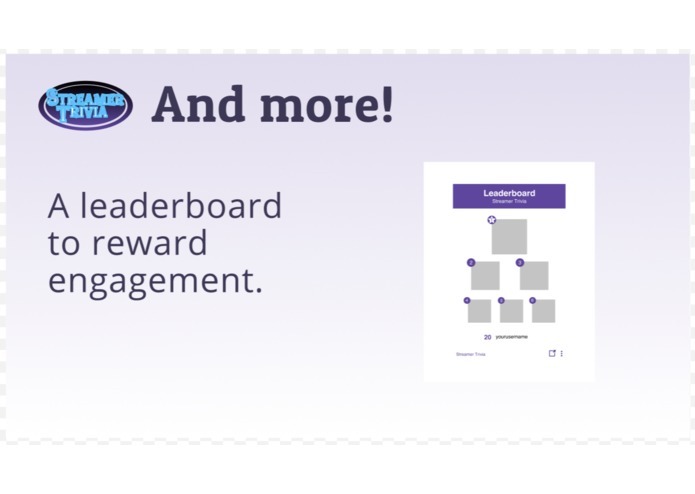 It was my first time working with React and it was initially hard to understand how to build pages, but once I got it working it was really simple and powerful!